Buddha Hen ended up with 6 little chicks to care for. She's been doing a great job watching over them. The garden - in spite of all the gravel - is growing. I spend a great deal of my time weeding. 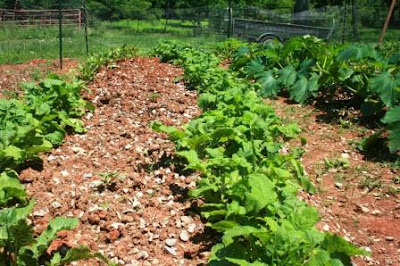 Below you see the rows of beets and turnips, and to the far right zucchini. No actual vegetables yet, but we did enjoy some turnip greens in an omelet. 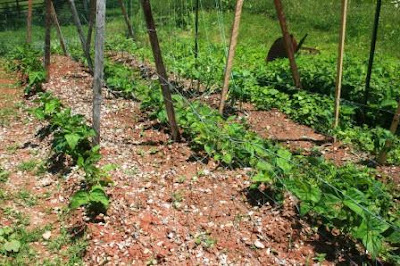 And then here are the beans, beans, and tomatillos. The tomatillos are looking mighty plentiful - so I'm going to be on the lookout for recipes. I didn't actually think they'd grow, so it's a bit of a surprise that we have so many plants. They're actually doing much better than our regular tomatoes, of which we only had 3 plants come up and they're going pretty slow for now. 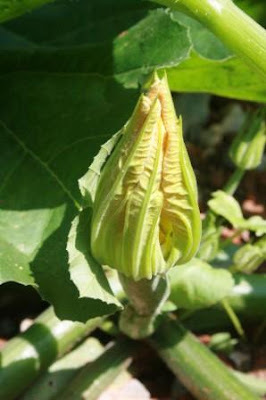 Zucchini just about ready to bloom! The following pictures are for Nancy at A Rural Journal. 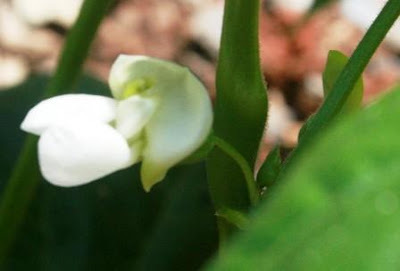 She hosts a weekly photo linkup called Your Sunday Best, and this past Sunday asked what was in bloom where you lived. Later we'll get some blue and purple blooms. This post is linked up with Show and Tail at WV Treasures and with Farm Girl Friday at Dandelion House. Love your wild roses. The comment about never promising you a rose garden was cute. Oops - hit the wrong key. The previous post was written by me! If you can believe it, I've got to google what tomatillos are. Your garden looks wonderful! All the green leafy veggies will taste terrific! oh, love the hen and her chicks!!! so sweet! beautiful lily too! Turnip greens!! Love those, but never thought about in an omlette. I suppose it's kind of like spinach though. YUM!! 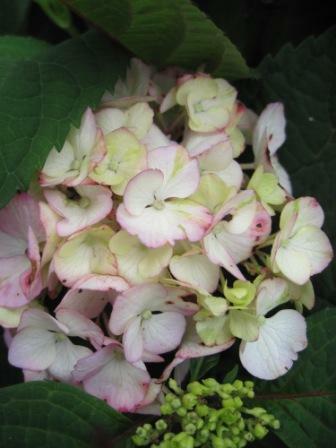 Your flowers are gorgeous; about the only thing bloomin' here are hydrangeas - it's stinkin' hot, and NO rain!! Buddha Hen's family is so cute! She looks like a great little mom. What wonderful pictures! 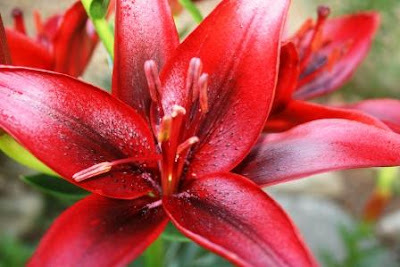 I love the delicate looking zucchini bloom, and the bright red lily. I bet the boys are crazy about the chicks! The chicks are so cute, and your garden looks great! What a big garden you have - that is so wonderful - would love to have a garden some day. And your mama chick is doing a great job! Your veges look great, too! Look at all that bounty already!We have ditch lilies, too. Love them but no idea where they came from. I love your blooms...and am envious of your incredible garden! Your garden looks beautiful. I think you should give lilacs a try! They are slow growing but worth it. love the garden. also. where is elvis. you know. she needs attention, too. Love those chicks! We had some several years ago and they were a lot of fun. Your garden looks great. I will be glad when ours starts producing a little bit. Garden looks great!! 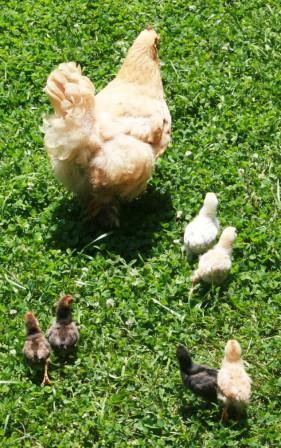 And the hen and her chicks are just too cute! Oh great pictures! I love the little chicks, I wants baby chicks! Our vegetable garden is really thriving right now, I love eating fruits and veggies from our own yard. Oh, I really enjoyed this. This virtual stroll around your farm is exactly the little escape I needed. I love little chicks :-) I believe the zucchini blooms are good to eat actually, you might want to check into it. Tomatillos = salsa in my neck of the woods! 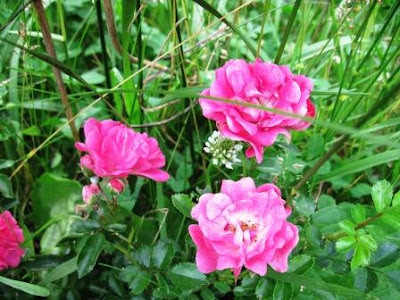 Your flowers are so lovely. Thanks for sharing them with us! Buddha hen and her babies are SO cute. Zucchini flowers are delicious! Try them. Your garden looks great! You will have lots of yummy stuff! Tomatillos can yourself some Salsa Verde! I love to saute them too and put them in with some rice and beans for burrito stuffing :O). I love your Mommy hen and her chicks. That is just so fun! love your photos.the chicks are gorgeous and the flowers are eye popping! 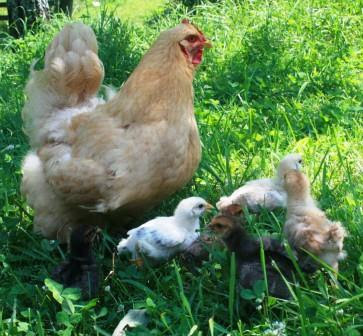 Your hen looks like a very proud, happy mama! The garden really is making progress. I love all those flowers. It must be quite beautiful at your place right now with all those blooms.